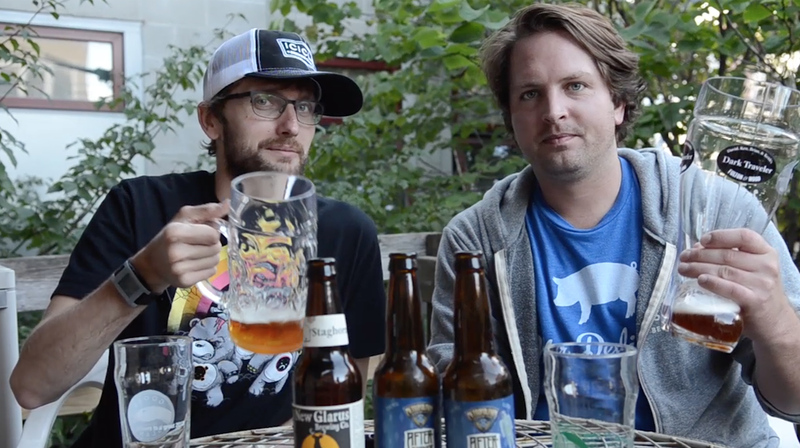 In episode 246 of the Hop Cast, Brad Chmielewski and Ken Hunnemeder are ready for Oktoberfest! The two of them open up a couple midwestern Märzen / Oktoberfest’s. First up is the 6.25% ABV New Glarus Brewing Company, Staghorn Octoberfest. It’s always a real treat when anyone outside of Wisconsin can get their hands on some beer from New Glarus and even more of a treat when it’s as good as the Staghorn. 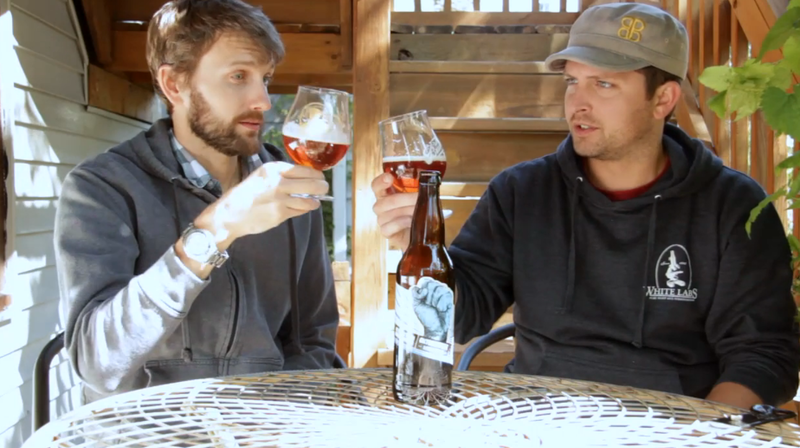 Next up, Brad and Ken go local with the 5.5% ABV Metropolitan Brewing, Afterburner. Afterburner is one of the newest beers you’ll find from Metropolitan. From a brewery that focuses on all lagers, you’d expect this one to be tasty and it doesn’t disappoint. Oktoberfest is one of the best beers in the world, for one of the best parties in the world. Be sure to grab yourself a liter and enjoy the party! Having issues listening to the video? Try the Quicktime (627.9 MB) or subscribe to the podcast on iTunes or Stitcher. It might not be October just yet but it’s right around the corner and all those Oktoberfest beers are already hitting the shelves and selling out fast. For the September beer of the month we are picking the Two Brothers Atom Smasher. Originally released last year and named after the largest particle accelerator laboratory in US Fermilab, which is right down the street from the brewery. This beer from Two Brothers blasts aways what you typically think of when you think of those big steins of Oktoberfest beers being passed around. The Atom Smasher pours out a cloudy light pumpkin color with almost no head. The aroma is sweet and funky with a slight bit of oak. When you first take a sip be sure to take a couple before making up your mind about this beer because there is a lot going on and your palate needs to adjust to that oak aged flavor. That rich malt really comes through and then the oak washes in welcoming something new to a familiar style. The hops are a nice dry and bitter finish. At 7.7 % ABV, it’s sweet but overall well balanced and put together. It’s an easy one to knock back but watch out that 7.7 % ABV can sneak up on you. If you’re looking for something that is creamy and smooth and has a bit more flavor than your typical Oktoberfest beer then this one is worth picking up.